In my post yesterday, I shared the PDF of the new rules for Genestealer Cultists in Space Hulk. GW has gone through and revamped the rules for Hybrids to bring them in line with the new edition. That's only half the picture though. 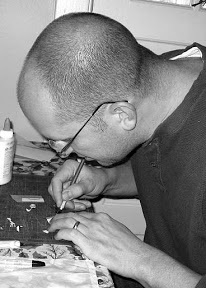 When "Hybrids" were first introduced into the game back in 1990 in the Genestealer expansion, not only were there rules, but there were additional board pieces that could be used in your games. These pieces created hallways that were three squares wide and rooms that were cavernous compared to the existing rooms at the time. While it may not seem like much, it makes a huge difference when the enemy can shoot back. As one reader posted on Reddit, the rules are nice, but he's still gonna take Purestrains over Hybrids because they are simply better all around. And he's correct... if you're talking about those narrow hallways where only one model can face off against one model at a time... Hybrids just don't hold up against Terminator Armour clad Marines. But... once you open up those hallways into much larger corridors, things change slightly. Now you have the potential for Hybrids to be able to stand and shoot while the Purestrains advance on Marines unhindered. A while ago I found someone who'd taken the old Genestealer board pieces and converted them over to the new edition artwork. I took all of them and combined them into a PDF you can download below for free. The additional board pieces from the Deathwing expansion can be found here. IMAGE: Games Workshop. 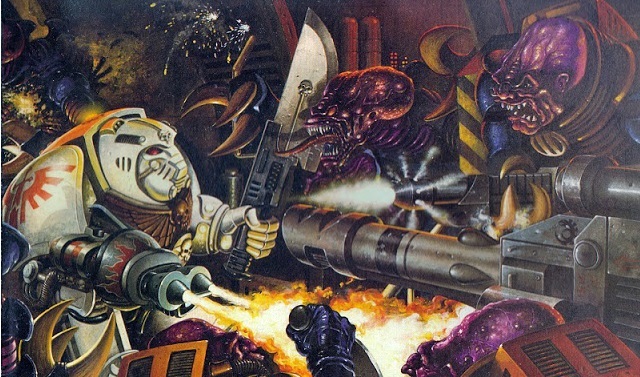 The original box art for the Genestealer Expansion.